I love vegetables and I love winter. These loves do not cohabit well. A New England winter, for all its pleasures, is a desolate vegetable landscape in the native sense. The vegetables we get to eat have put in some transit time, or freezer time, or both. And the prices climb as the temperature drops and the miles from soil to plate expand. Their dearness makes me more appreciative, certainly, but maybe a little less passionate. Nobody’s writing poems about the lettuce and tomatoes you can get hold of in March in the northeast, and even those of us who love it have grown a bit weary of winter squash. 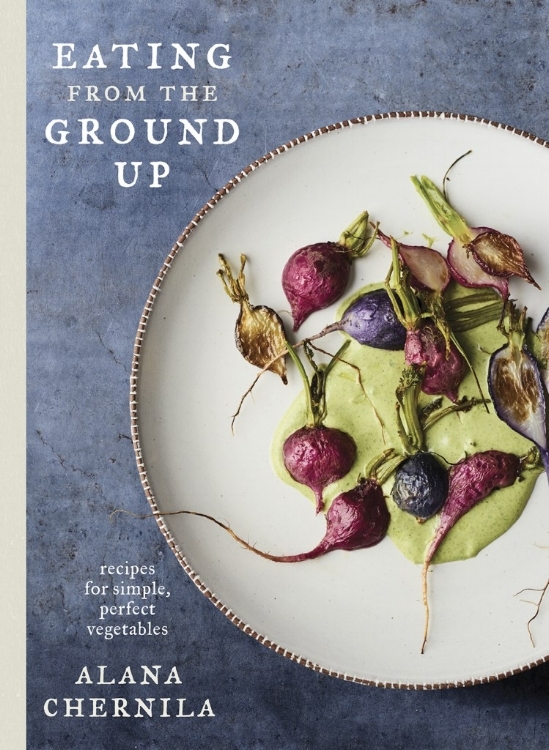 If you want to put the ba-da-bing back in your feelings about this food group, there’s nothing better to read than Alana Chernila’s new book, Eating From The Ground Up. Full disclosure: Alana lives in my heart as well as my neighborhood. I’m lucky to be her friend. It’s amazing how something of such significance can be kind of irrelevant to how much I love this book. I am very certain that I would love this book no matter who had created it. It’s a gorgeous book full of good food, and good information about food, and good ways to make eating food a little simpler, more delicious and very gratifying. Little tricks like infusing oil with a kick of flavor will make you feel fancy without wrecking your kitchen: maybe you’ll find that the herb-y olive and coconut oils that pop up as garnish for the cauliflower and carrot soups will quietly slip into your toolkit, and get applied to any number of other dishes. Ditto a small army of sauces and butters which comfortably stand alone from the recipes they ride in on: Creamy Lemon, Feta Mint, Scallion-Watercress, and the aptly-named Yummy Sauce all have the potential to elevate anything they rest on. Practical ways to make use of the stems and greens you may have been discarding will support root-to-tip eating and honor the farmer as well as the food dollar. You will feel a little sassier and more confident as you patrol the farmer’s market and produce aisle. You will rule the crisper. IN ALL SEASONS. NO VEGETABLE WILL BE THE BOSS OF YOU. For a recent event celebrating the launch of the book, I made the roasted carrot soup, snappy with a motherlode of ginger and the bright notes of lime, yet still somehow mellow and just as right guzzled warm on a winter evening as I imagine it would be right served cool in the summer, especially dolled up with its fancy fillip of infused coconut oil. I also made the sliced radishes with compound butter, which sounds (and tastes) so modern bistro but is, in fact, the work of a few moments to assemble. “Compound butter” just means butter you mashed stuff into, and a sliced radish is just a sliced radish. Together, they are something else entirely. As I page through I want to eat all the things, and every one that I’ve brought to the table has been a winner. But I already know my favorite, if I were cruelly forced to pick one: it’s the braised endive with bitter caramel. I’ve known this recipe the longest, because Alana asked me to take it for a test drive last year as the book took shape. But I’m quite sure that familiarity is not why I love it. I don’t love it for its looks, either. It’s just sort of beige. 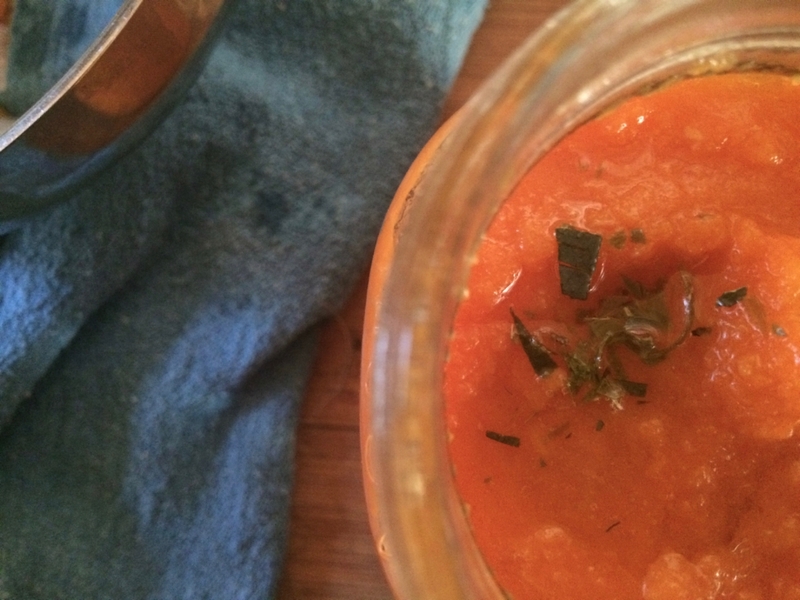 You might be tempted to dress it up with some parsley or something, looking at it. As it turns out, this would be the incorrect impulse. The correct impulse is to take the full pan of it into a quiet corner where the two of you will be undisturbed. If you already love endive, get ready for the relationship to go to the next level. If you are meh about it, this is your gateway drug. A thorough braise in butter and cream and lemon are the agents of transformation here, and I’ll just go ahead and say the result is sometimes what I eat for dinner. All by itself. Are you ready to spin the wheel and see if this book is destined to be yours? There’s a form below that will give you a few ways to enter. Or you can cut to the chase and buy it at your local bookseller. If you’re more ready to eat the endive, here you go. There is a note on the recipe in the book that says “for a quicker version,” and that’s the version here (the main recipe has you braise them whole). I don’t like to wait longer than I need to for it to be ready, and I don't want a knife and fork to stand between me and eating it up. There is also a note on the recipe that says it serves 4-6 people, which is kind of hilarious but my training in journalism compels me to reproduce it here. Remove any bruised leaves from each head of endive, trim the brownish stem ends, and cut crosswise into 1” pieces. Melt the butter over medium heat in a large, heavy skillet until it foams. Add the endive pieces and cook until they are wilted, about 2 minutes. Add the sugar and lemon and continue to cook, stirring, for another two minutes. There should be some browned bits here and there. Add the cream and cook until slightly thickened, another two minutes, being sure to scrape the pan to loosen any browned bits and incorporate them into the sauce. Finish with a very light sprinkle of salt and quick grind of pepper. Having trouble seeing the form? You can also access it by clicking here.